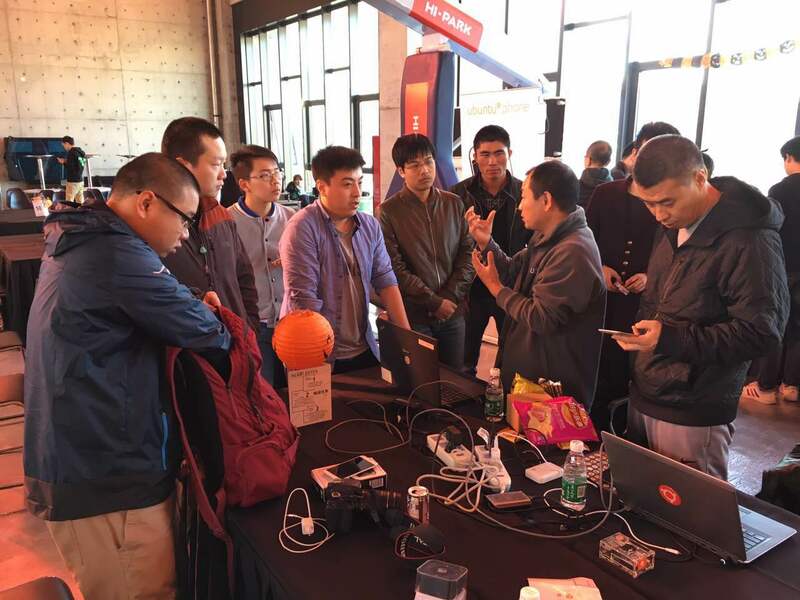 After undertaking several Ubuntu Phone led hackathons in Beijing and Shenzhen, we embraced the opportunity to be part of the TechCrunch one this past weekend in Beijing (31st Oct-1st Nov). 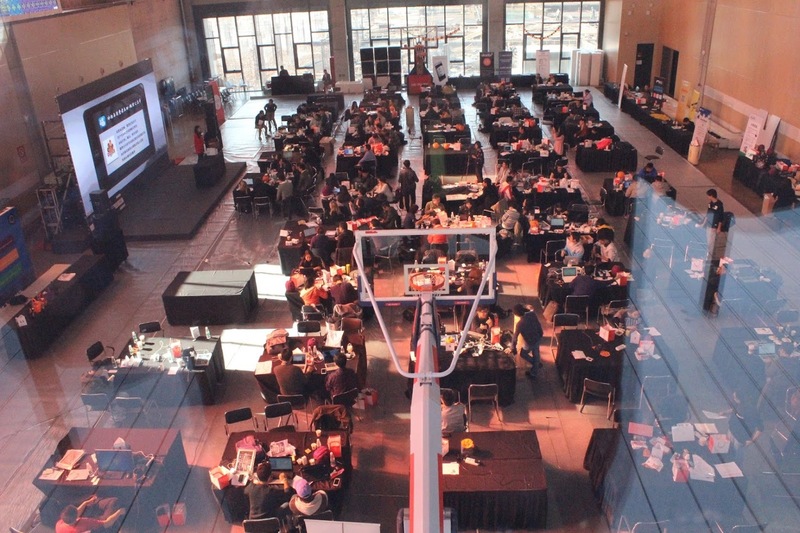 This hackathon afforded us the chance to meet more Ubuntu fans, introduce the OS to more developers and interact with participants from past hackathons. 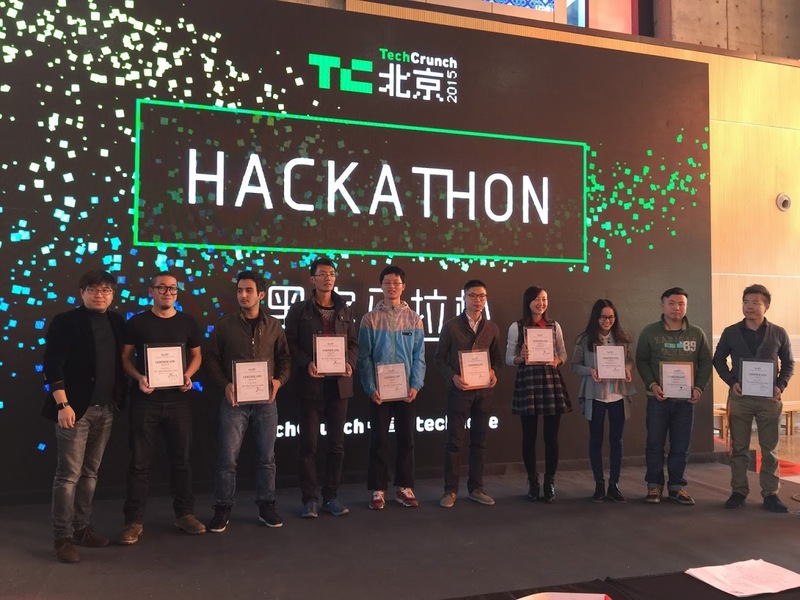 The hackathon was hosted inside Wukesong Hi-Park which was especially impressive given that the team behind TechCrunch China and TechNode managed to transform the indoor basketball court into a Hi-Tech powerhouse over night. Given that the event coincided with Halloween, the whole place was covered with bewitching decorations. Over 140 participants were on site and were granted the choice of either taking part in specific challenges during the hackathon or partnering with others and innovating their own hacking projects. There were three challenges presented by Canonical, Unilever and PSA which participants could opt into and receive correspondent prizes. Alternatively, participants could team up with others on-site to initiate their own projects which too would be rewarded. 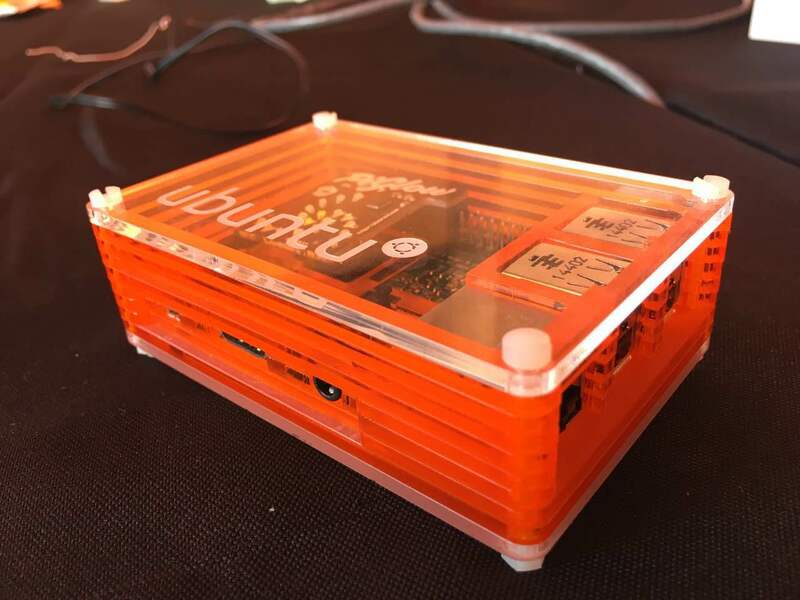 Our challenge was pretty expansive in nature enabling developers to either create a Scope or app for Ubuntu Phone or develop any IoT related project utilizing snappy Ubuntu Core. The hacking commenced around 1pm on day 1 and teams were requested to conclude and submit their work around 9am on day 2. In total, the teams had around 20 hrs+ of hacking time. Project demos started mid-morning on day 2 where a total of 29 projects were demonstrated. 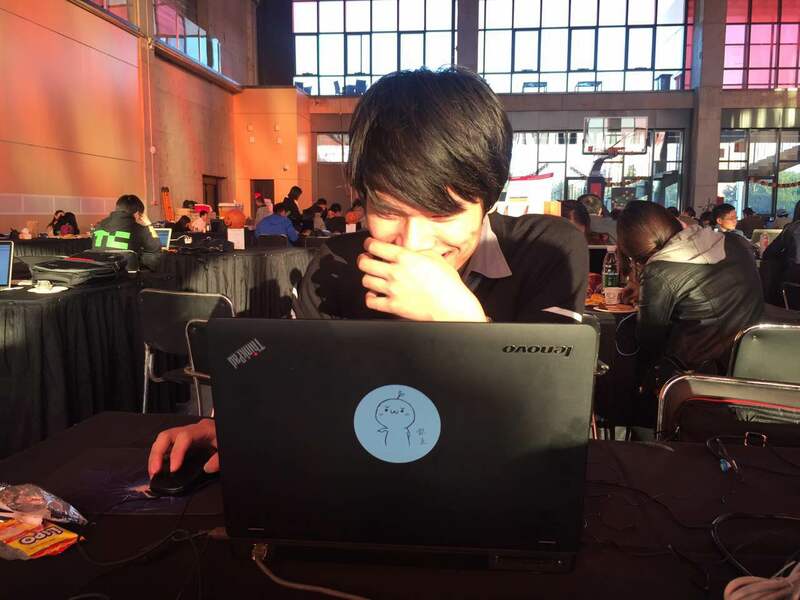 There were seven teams working on the Ubuntu Challenge and out of the five final submissions, the two winning projects were Musicor and SnapChirp. Musicor: A native, QML based Ubuntu Phone app which adjusts your phone’s music settings based on your sleeping status. The music will automatically turn off as soon as you fall asleep. It makes use of a write band to detect the user’s stage of sleep and communicates the status to the associated app on the phone to instigate action. SnapChirp: An app using snappy Ubuntu Core that utilises sound waves to calculate the distance between various smart devices. This cross-platform application which works on Ubuntu, iOS and Android was demoed across an Ubuntu Phone and an iPhone. Whilst this might sound like a pretty simple and straightforward app, it offers extraordinary possibilities and onward potential. Whilst the winners of the Ubuntu challenge were surely pleased with their winnings of Meizu MX4 Ubuntu Edition handsets and a Beaglebone black for the IoT integration project winner, the sense of satisfaction they derived from the experience and creating something with so much onward potential probably outshined it all. It was great to see the quality of development at yet another high calibre hackathon here in China.